WTO, SAARC, ECO, OIC, SAFTA, AIIB, SCO, IMF, Commonwealth of Nations, World Bank. The economy of Pakistan is the 23rd largest in the world in terms of purchasing power parity (PPP), and 42nd largest in terms of nominal gross domestic product. Pakistan has a population of over 207 million  (the world's 5th-largest), giving it a nominal GDP per capita of $1,641 in 2018, which ranks 147th in the world and giving it s PPP GDP per capita of 5,709 in 2018, which ranks 130th in the world for 2018. However, Pakistan's undocumented economy is estimated to be 36% of its overall economy, which is not taken into consideration when calculating per capita income. Pakistan is a developing country and is one of the Next Eleven countries identified by Jim O'Neill in a research paper as having a high potential of becoming, along with the BRICS countries, among the world's largest economies in the 21st century. The economy is semi-industrialized, with centres of growth along the Indus River. Primary export commodities include textiles, leather goods, sports goods, chemicals, carpets/rugs and medical instruments. Growth poles of Pakistan's economy are situated along the Indus River; the diversified economies of Karachi and major urban centers in the Punjab, coexisting with lesser developed areas in other parts of the country. The economy has suffered in the past from internal political disputes, a fast-growing population, mixed levels of foreign investment. Foreign exchange reserves are bolstered by steady worker remittances, but a growing current account deficit – driven by a widening trade gap as import growth outstrips export expansion – could draw down reserves and dampen GDP growth in the medium term. Pakistan is currently undergoing a process of economic liberalization, including privatization of all government corporations, aimed to attract foreign investment and decrease budget deficit. In October 2016, foreign currency reserves crossed $24.0 billion which has led to stable outlook on the long-term rating by Standard & Poor's. In 2016, BMI Research report named Pakistan as one of the ten emerging economies with a particular focus on its manufacturing hub. In October 2016, the IMF chief Christine Lagarde confirmed her economic assessment in Islamabad that Pakistan's economy was 'out of crisis' The World Bank predicts that by 2018, Pakistan's economic growth will increase to a "robust" 5.4% due to greater inflow of foreign investment, namely from the China-Pakistan Economic Corridor. According to the World Bank, poverty in Pakistan fell from 64.3% in 2002 to 29.5% in 2014. The country's worsening macroeconomic position has led to Moody's downgrading Pakistan's debt outlook to "negative". In 2017, Pakistan's GDP in terms of purchasing power parity crossed $1 trillion. Pakistan was a middle class and predominantly agricultural country when it gained independence in 1947. Pakistan's average economic growth rate in the first five decades (1947–1997) has been higher than the growth rate of the world economy during the same period. Average annual real GDP growth rates were 6.8% in the 1960s, 4.8% in the 1970s, and 6.5% in the 1980s. Average annual growth fell to 4.6% in the 1990s with significantly lower growth in the second half of that decade. According to many sources, the Pakistani government has made substantial economic reforms since 2000, and medium-term prospects for job creation and poverty reduction are the best in nearly a decade. "Pakistan was the top reformer in the region and the number 10 reformer globally – making it easier to start a business, reducing the cost to register property, increasing penalties for violating corporate governance rules, and replacing a requirement to license every shipment with two-year duration licences for traders." The World Bank (WB) and International Finance Corporation's flagship report Ease of Doing Business Index 2019 ranked Pakistan 136 among 190 countries around the globe, indicating a continuous improvement and taking a jump from 147 last year. The top five countries were New Zealand, Singapore, Denmark, Hong Kong and Korea. With improvement in ease of doing business ranking and giving an investment friendly road map from government, many new auto sector giants like France's Renault, South Korean's Hyundai and Kia, Chinese JW Forland and German auto giant Volkswagen have stepped in Pakistan auto market through joint ventures with local manufacturers like Dewan Farooque Motors, Khalid Mushtaq Motors and United Motors. US oil and gas giant Exxon Mobil has again returned to Pakistan after nearly three decades gap and has acquired 25% shares in offshore drilling in May 2018, with initial survey showing a potential of huge hydrocarbon reserves discovery at offshore. With recent agreement from Saudi Arabia to invest more than US dollar 15 billion in establishing a mega oil refinery and petrochemical industry in Gwadar more commitments for investments are on its way to come in this sector especially from UAE, Qatar, Malaysia and Italy. In 2019 Pakistan is seeking its thirteenth bailout since the late 1980s as Pakistan's central bank has only $7 billion left in foreign reserves. Inflation is high since 2018. Total debt and external debt as percent of GDP are rising. These are economic indicators of Pakistan from Fiscal Year 2000 to 2018. Note : This is the merchandised trade data (export and import) as released by the SBP.This may differ from the data compiled by Pakistan Bureau of Statistics. In 2016, the Atlantic Media Company (AMC) of the United States has ranked Pakistan as a relatively stronger economy in the South Asian markets and expected that it will grow rapidly during days ahead. AMC said that during the period January–July this year, Indian 100 point index was 6.67% while Karachi Stock Exchange (KSE) had achieved 100 point index of 17 percent. In the first four years of the twenty-first century, Pakistan's KSE 100 Index was the best-performing stock market index in the world as declared by the international magazine "Business Week". The stock market capitalisation of listed companies in Pakistan was valued at $5,937 million in 2005 by the World Bank. But in 2008, after the General Elections, uncertain political environment, rising militancy along western borders of the country, and mounting inflation and current account deficits resulted in the steep decline of the Karachi Stock Exchange. As a result, the corporate sector of Pakistan has declined dramatically in recent times. However, the market bounced back strongly in 2009 and the trend continues in 2011. By 2014 the stock market burst into uncharted territories as the benchmark KSE 100 Index rose 907 points (3.1%) and shot past the 30,000-point barrier to close at a new record high, this came days after Moody's announced that it was upgrading the outlook of 5 major Pakistani banks from Negative to Stable, resulting in heavy buying in the banking sector. The rally was supported by heavy buying in the oil and gas and cement sectors. On 11 January 2016, aimed to help reduce market fragmentation and create a strong case for attracting strategic partnerships necessary for providing technological expertise all the three stock exchanges including Karachi Stock Exchange, Lahore Stock Exchange and Islamabad Stock Exchange were inducted into a unified Pakistan Stock Exchange. In May 2017 American provider of stock market indexes and analysis tools, MSCI has confirmed that the Pakistan Stock Exchange (PSX) has been reclassified from Frontier Markets to Emerging Markets in its semi-annual index review. Euphoria over the stock exchange's reclassification as an emerging market propelled the PSE-100 Index past another milestone when the Index recorded an increase of 636.96 points, or 1.23%, to end at 52,387.87. In the fiscal year 2018, the stock market showed a negative growth of 7.1% over the last fiscal year and stood at 47000 points at average. As of 2017[update], according to Wall Street Journal, citing estimates largely based on income and the purchase of consumption goods, had suggested that as many as 42% of Pakistan's population may now belong to the upper and middle classes. If these numbers are correct, or even indicative in any broad sense, then 87 million Pakistanis belong to the middle and upper classes, a population size which is larger than that of Germany. Official figures also show that the proportion of households that own a motorcycle and washing machines has grown impressively over the past 15 years. Furthermore, the IBA-SBP Consumer Confidence Index recorded its highest-ever level of 174.9 points in January 2017, showing an increase of 17 points from July 2016. Separately, consumer financing posted an increase of Rs37.6 billion during first half of the current fiscal year of 2017. Auto finance continued to be the dominated segment, while personal loans showed a pickup as well. "The net credit off-take of Rs13.7 billion of personal loans witnessed in first half of the fiscal year 2017 is the highest half-year figure in about a decade," the report stated. Pakistan government spent over 1 trillion Rupees (about $16.7 billion) on poverty alleviation programmes during the past four years, cutting poverty from 35% in 2000–01 to 29.3% in 2013 and 17% in 2015. Rural poverty remains a pressing issue, as development there has been far slower than in the major urban areas. The high population growth in the past few decades has ensured that a very large number of young people are now entering the labor market. Even though it is among the six most populous Asian nations. In the past, excessive red tape made firing from jobs, and consequently hiring, difficult. Significant progress in taxation and business reforms has ensured that many firms now are not compelled to operate in the underground economy. "In 2016 government took a remarkable initiative by announcing the Prime Minister's Youth Program to combat unemployment in the country. This program has a broad canvas of schemes enabling youth and poor segment of society to get better employment opportunities, economic empowerment, acquiring skills needed for gainful employment, access to IT and imparting on-the-job training for young graduates to improve the probability of getting a productive job. Prime Minister’s Youth Program includes six schemes which are Prime Minister’s Youth Business Loan Scheme, Prime Minister’s Interest Free Loan Scheme, Prime Minister’s Youth Skill Development Program, Prime Minister’s Program for Provision of Laptops to Talented Students, Prime Minister’s Fee Reimbursement Scheme,Prime Minister’s Youth Training Scheme". Government sector is also contributing in employment and according to estimate 4.5 million people are employed by federal, provincial and local governments in different sectors from Armed forces to education and health. Faisal Mosque in the capital Islamabad. Tourism in Pakistan has been stated as being the tourism industry's "next big thing". Pakistan, with its diverse cultures, people and landscapes, has attracted 90 million tourists to the country, almost double to that of a decade ago. Due to threat of terrorism the number of foreigner tourists has gradually declined and the shock of 2013 Nanga Parbat tourist shooting has terribly adversely effected the tourism industry. As of 2016[update] tourism has begun to recover in Pakistan, albeit gradually. Although the country is a Federation with constitutional division of taxation powers between the Federal Government and the four provinces, the revenue department of the Federal Government, the Federal board of Revenue, collects almost 95% of the entire national revenue. The Federal Board of Revenue collected 3.370 trillion rupees in taxes against the target of 3.621 trillion rupees in the fiscal year 2016–2017. FBR achieved 8% growth in revenues over the previous fiscal year's collection of Rs3.114 trillion. The basic unit of currency is the Rupee, ISO code PKR and abbreviated Rs, which is divided into 100 paisas. Currently the newly printed 5,000 rupee note is the largest denomination in circulation. Recently the SBP has introduced all new design notes of Rs. 10, 20, 50, 100, 500, 1000 and 5000. The Pakistani Rupee was pegged to the Pound sterling until 1982, when the government of General Zia-ul-Haq, changed it to managed float. As a result, the rupee devalued by 38.5% between 1982/83 many of the industries built by his predecessor suffered with a huge surge in import costs. After years of appreciation under Zulfikar Ali Bhutto and despite huge increases in foreign aid the Rupee depreciated. Pakistan maintains foreign reserves with State Bank of Pakistan. The currency of the reserves was solely US dollar incurring speculated losses after the dollar prices fell during 2005, forcing the then Governor SBP Ishrat Hussain to step down. In the same year the SBP issued an official statement proclaiming diversification of reserves in currencies including Euro and Yen, withholding ratio of diversification. Following the international credit crisis and spikes in crude oil prices, Pakistan's economy could not withstand the pressure and on 11 October 2008, State Bank of Pakistan reported that the country's foreign exchange reserves had gone down by $571.9 million to $7749.7 million. The foreign exchange reserves had declined more by $10 billion to a level of $6.59 billion. in June 2013 Pakistan was on the brink of default on its financial commitments. Country's Forex reserves were at an historic low covering only two weeks' worth of imports. Today in November 2017 Pakistan's Foreign exchange reserves are at a comfortable level (20 billion dollars), sufficient to cover about 3 months of imports. Agriculture accounted for about 53% of GDP in 1947. While per-capita agricultural output has grown since then, it has been outpaced by the growth of the non-agricultural sectors, and the share of agriculture has dropped to roughly one-fifth of Pakistan's economy. In recent years, the country has seen rapid growth in industries (such as apparel, textiles, and cement) and services (such as telecommunications, transportation, advertising, and finance). The most important crops are wheat, sugarcane, cotton, and rice, which together account for more than 75% of the value of total crop output. Pakistan's largest food crop is wheat. In 2017, Pakistan produced 26,674,000 tonnes of wheat, more than all of Africa and nearly as much as all of South America, according to the USDA. Pakistan has also cut the use of dangerous pesticides dramatically. Pakistan is a net food exporter, except in occasional years when its harvest is adversely affected by droughts. Pakistan exports rice, cotton, fish, fruits (especially Oranges and Mangoes), and vegetables and imports vegetable oil, wheat, pulses and consumer foods. The country is Asia's largest camel market, second-largest apricot and ghee market and third-largest cotton, onion and milk market. The economic importance of agriculture has declined since independence, when its share of GDP was around 53%. Following the poor harvest of 1993, the government introduced agriculture assistance policies, including increased support prices for many agricultural commodities and expanded availability of agricultural credit. From 1993 to 1997, real growth in the agricultural sector averaged 5.7% but has since declined to about 4%. Agricultural reforms, including increased wheat and oil seed production, play a central role in the government's economic reform package. Pakistan's principal natural resources are arable land and water. About 25% of Pakistan's total land area is under cultivation and is watered by one of the largest irrigation systems in the world. Pakistan irrigates three times more acres than Russia. Pakistan agriculture also benefits from year round warmth. Agriculture accounts for about 18.9% of GDP and employs about 42.3% of the labour force. Zarai Taraqiati Bank Limited is the largest financial institution geared towards the development of agriculture sector through provision of financial services and technical expertise. Pakistan is endowed with significant mineral resources and is emerging as a very promising area for prospecting/exploration for mineral deposits. Based on available information, the country's more than 6,00,000 km² of outcrops area demonstrates varied geological potential for metallic and non-metallic mineral deposits. In the wake of 18th amendment to the constitution all the provinces are free to exploit and explore the mineral resources which are in their jurisdiction. Mining and quarrying contributes 13.19% in industrial sector and its share in GDP is 2.8%. Pakistan mining and quarrying sector grew by 3.04% in 2018 against the negative growth of -0.38% last year. In the recent past, exploration by government agencies as well as by multinational mining companies presents ample evidence of the occurrences of sizeable minerals deposits. Recent discoveries of a thick oxidised zone underlain by sulphide zones in the shield area of the Punjab province, covered by thick alluvial cover have opened new vistas for metallic minerals exploration. Pakistan has a large base for industrial minerals. The discovery of coal deposits having over 175 billion tones of reserves at Thar in the Sindh province has given an impetus to develop it as an alternative source of energy. There is vast potential for precious and dimension stones. Pakistan's industrial sector accounts for about 20.9% of GDP. In 2018 it recorded a growth of 5.80% as compared to the growth of 5.43% last year. Manufacturing is the most vibrant sub sector of the industrial sector having 64.8% contribution in the industrial sector and in GDP it accounts for 13.6%. Manufacturing sub-sector is further divided in three components including large-scale manufacturing (LSM) with the share of 79.6% percent in manufacturing sector, small scale manufacturing share is 13.8 percent in manufacturing sector, while slaughtering contributes 6.5 percent in the manufacturing. Major sectors in industries include cement, fertiliser, edible oil, sugar, steel, tobacco, chemicals, machinery, food processing and medical instruments, primarily surgical. Pakistan is one of the largest manufacturers and exporters of surgical instruments. The government is privatizing large-scale industrial units, and the public sector accounts for a shrinking proportion of industrial output, while growth in overall industrial output (including the private sector) has accelerated. Government policies aim to diversify the country's industrial base and bolster export industries. Large Scale Manufacturing is the fastest-growing sector in Pakistani economy. Major Industries include textiles, fertiliser, cement, oil refineries, dairy products, food processing, beverages, construction materials, clothing, paper products and shrimp. In Pakistan SMEs have a significant contribution in the total GDP of Pakistan, according to SMEDA and Economic survey reports, the share in the annual GDP is 40% likewise SMEs generating significant employment opportunities for skilled workers and entrepreneurs. Small and medium scale firms represent nearly 90% of all the enterprises in Pakistan and employ 80% of the non-agricultural labor force. These figures indicate the potential and further growth in this sector. In 1947, Pakistan had inherited four cement plants with a total capacity of 0.5 million tons. 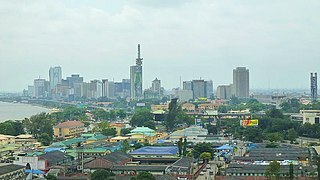 Some expansion took place in 1956–66 but could not keep pace with the economic development and the country had to resort to imports of cement in 1976–77 and continued to do so until 1994–95. The cement sector consisting of 27 plants is contributing above Rs 30 billion to the national exchequer in the form of taxes. However, by 2013, Pakistan's cement is fast-growing mainly because of demand from Afghanistan and countries boosting real estate sector, In 2013 Pakistan exported 7,708,557 metric tons of cement. Pakistan has installed capacity of 44,768,250 metric tons of cement and 42,636,428 metric tons of clinker. In the 2012–2013 cement industry in Pakistan became the most profitable sector of economy. The information communication technology (ICT) industry grossed over $4.8 billion in 2013. It is expected to exceed the $13 billion mark by 2018. A marked increase in software export figures are an indication of this booming industry's potential. The total number of IT companies increased to 1306 and the total estimated size of IT industry is $2.8 billion. In 2007, Pakistan was for the first time featured in the Global Services Location Index by A.T. Kearney and was rated as the 30th best location for offshoring. By 2009, Pakistan had improved its rank by ten places to reach 20th. According to Pakistan Startup report, there are about 1 million freelancers working from Pakistan mainly via Elance, Upwork, Fiverr, Guru, and freelancer – world's famous online marketplaces that count Pakistan among top 5 freelancing nations. An annual report that updated by State bank of Pakistan shows Pakistan cross 1 Billion($) IT Export which is a good achievement of Pakistan IT Industry. Also, an official said that Pakistan Freelance community generate 1 billion($) revenue this year. Overall Pakistan makes 2 Billion($) IT export worldwide. The defence industry of Pakistan, under the Ministry of Defence Production, was created in September 1951 to promote and coordinate the patchwork of military production facilities that have developed since independence.It is currently actively participating in many joint production projects such as Al Khalid 2, advance trainer aircraft, combat aircraft, navy ships and submarines. Pakistan is manufacturing and selling weapons to over 40 countries, bringing in $20 million annually.The country's arms imports increased by 119 percent between the 2004–2008 and 2009–13, with China providing 54pc and the USA 27pc of Pakistan's imports. Most of the Textile Industry is established in Punjab. Before 1990, the situation was different; most of the industry was in Karachi. Textile industry in Pakistan is traditional and conservative, producing and exporting most of low cost raw articles e.g. Raw Cotton, Yarn, fabric etc. Share of finished goods and branded articles is nominal. Pakistan has a potential to quadruple its textile production and export, due to emerging Chinese markets and with its existing infrastructure. 10% of United States imports regarding clothing and other form of textiles is covered by Pakistan. As of 2010[update], Pakistan is one of the largest users of CNG (compressed natural gas) in the world. Presently, more than 3,000 CNG stations are operating in the country in 99 cities and towns, and 1000 more would be set up in the next two years. It has provided employment to over 50,000 people in Pakistan, but the CNG industry is struggling to survive the 2013 energy crisis. Pakistan's service sector accounts for about 60.2% of GDP. Transport, storage, communications, finance, and insurance account for 24% of this sector, and wholesale and retail trade about 30%. Pakistan is trying to promote the information industry and other modern service industries through incentives such as long-term tax holidays. After the deregulation of the telecommunication industry, the sector has seen an exponential growth. Pakistan Telecommunication Company Ltd has emerged as a successful Forbes 2000 conglomerate with over US $1 billion in sales in 2005. The mobile telephone market has exploded many-fold since 2003 to reach a subscriber base of 140 million users in July 2017, one of the highest mobile teledensities in the entire world. In addition, there are over 6 million landlines in the country with 100% fibre-optic network and coverage via WLL in even the remotest areas. As a result, Pakistan won the prestigious Government Leadership award of GSM Association in 2006. The World Bank estimates that it takes about 3 days to get a phone connection in Pakistan. By March 2009, Pakistan had 91 million mobile subscribers – 25 million more subscribers than reported in the same period in 2008. In addition to the 3.1 million fixed lines, while as many as 2.4 million are using Wireless Local Loop connections. Sony Ericsson, Nokia and Motorola along with Samsung and LG remain the most popular brands among customers. Since liberalisation, over the past four years,[when?] the Pakistani telecom sector has attracted more than $9 billion in foreign investments. During 2007–08, the Pakistani communication sector alone received $1.62 billion in Foreign Direct Investment (FDI) – about 30% of the country's total foreign direct investment. Present growth of state-of-the-art infrastructures in the telecoms sector during the last four years has been the result of the PTA's vision and implementation of the deregulation policy. Paging and mobile (cellular) telephones were adopted early and freely. Cellular phones and the Internet were adopted through a rather laissez-faire policy with a proliferation of private service providers that led to the fast adoption. With a rapid increase in the number of Internet users and ISPs, and a large English-speaking population, Pakistani society has seen an unparalleled revolution in communications. According to the PC World, a total of 6.37 billion text messages were sent through Acision messaging systems across Asia Pacific over the 2008/2009 Christmas and New Year period. Pakistan was amongst the top five ranker with one of the highest SMS traffic with 763 million messages. On 14 August 2010, Pakistan became the first country in the world to experience EVDO's RevB 3G technology that offers maximum speeds of 9.3 Mbit/s. 3G and 4G was simultaneously launched in Pakistan on 23 April 2014 through a SMRA Auction. Three out of Five Companies got a 3G licence i.e. Ufone, Mobilink and Telenor while China Mobile's Zong got 3G as well as a 4G licence. Whereas fifth company, Warid Pakistan did not participate in the auction procedure, But they launched 4G LTE services on their existing 2G 1800 MHz spectrum due to Technology neutral terms and became world's first Telecom Company to transform directly from 2G to 4G. With that Pakistan joined the 3G and 4G world. In December 2017, 3G and 4G subscribers in Pakistan reached to 46 millions. Pakistan is ranked 4th in terms of broadband Internet growth in the world, as the subscriber base of broadband Internet has been increasing rapidly. The rankings are released by Point Topic Global broadband analysis, a global research centre. Pakistan has more than 20 million Internet users in 2009. The country is said to have a potential to absorb up to 50 million mobile phone Internet users in the next 5 years thus a potential of nearly 1 million connections per month. Almost all of the main government departments, organisations and institutions have their own websites. The use of search engines and instant messaging services is also booming. Pakistanis are some of the most ardent chatters on the Internet, communicating with users all over the world. Recent years have seen a huge increase in the use of online marriage services, for example, leading to a major re-alignment of the tradition of arranged marriages. Biometric reverification of SIMs in 2015 had an adverse impact on the cellular subscriber base when subscribers count dropped from 139.9 million to 114.6 million. However, the industry has survived through the tough period and continues to regain subscribers at a fast pace. Total teledensity of Pakistan reached at 74.4%. Telecom revenues were reached to Rs. 488.8 billion. Total contribution of telecom sector to the national exchequre was RS. 147.2 billion. Investment came to the telecom sector was US$ 670.3 million. as of June 2018[update] there were four cell phone companies including PMCL(Jazz), Telenor, Ufone and Zong operating in the country with nearly 150.2 million mobile phone subscribers. Pakistan Telecommunication Authority released the figures in June 2018 that Broadband subscribers in the country reached to approximately 56.1 millions thus gaining the growth of over 18 fold since 2006. Pakistan International Airlines, the flagship airline of Pakistan's civil aviation industry, has turnover exceeding $25 billion in 2015. The government announced a new shipping policy in 2006 permitting banks and financial institutions to mortgage ships. Private sector airlines in Pakistan include Airblue, which serves the main cities within Pakistan in addition to destinations in the Persian Gulf and Manchester in the United Kingdom. The other private carrier is Shaheen Air International whose network covers the main cities of Pakistan and the Persian Gulf. A massive rehabilitation plan worth $1 billion over five years for Pakistan Railways has been announced by the government in 2005. A new rail link trial has been established from Islamabad to Istanbul, via the Iranian cities of Zahedan, Kerman and Tehran. It is expected to promote trade, tourism, especially for exports destined for Europe (as Turkey is part of Europe and Asia). Pakistan has a large and diverse banking system. In 1974, a nationalization program led to the creation of six government-owned banks. A privatization program in the 1990s lead to the entry of foreign-owned and local banks into the industry. As of 2010, there were five public-owned commercial banks in Pakistan, as well as 25 domestic private banks, six multi-national banks and four specialized banks. Since 2000 Pakistani banks have begun aggressive marketing of consumer finance to the emerging middle class, allowing for a consumption boom (more than a 7-month waiting list for certain car models) as well as a construction bonanza. Pakistan's banking sector remained remarkably strong and resilient during the world financial crisis in 2008–09, a feature which has served to attract a substantial amount of FDI in the sector. Stress tests conducted on June 2008 data indicate that the large banks are relatively robust, with the medium and small-sized banks positioning themselves in niche markets. The Pakistan Bureau of Statistics provisionally valued this sector at Rs.807,807 million in 2012 thus registering over 510% growth since 2000. An article published in Journal of the Asia Pacific Economy by Mete Feridun of University of Greenwich in London with his Pakistani colleague Abdul Jalil presents strong econometric evidence that financial development fosters economic growth in Pakistan. Houses in Bahria Town, the largest private housing society in Asia. The property sector has expanded twenty-threefold since 2001, particularly in metropolises like Lahore. Nevertheless, the Karachi Chamber of Commerce and Industry estimated in late 2006 that the overall production of housing units in Pakistan has to be increased to 0.5 million units annually to address 6.1 million backlog of housing in Pakistan for meeting the housing shortfall in next 20 years. The report noted that the present housing stock is also rapidly aging and an estimate suggests that more than 50% of stock is over 50 years old. It is also estimated that 50% of the urban population now lives in slums and squatter settlements. The report said that meeting the backlog in housing, besides replacement of out-lived housing units, is beyond the financial resources of the government. This necessitates putting in place a framework to facilitate financing in the formal private sector and mobilise non-government resources for a market-based housing finance system. The Pakistan Bureau of Statistics provisionally valued this sector at Rs.459,829 million in 2012 thus registering over 149% growth since 2006. The Pakistan Bureau of Statistics provisionally valued this sector at Rs.389,545 million in 2005 thus registering over 65% growth since 2000. The Pakistan Bureau of Statistics provisionally valued this sector at Rs.631,229 million in 2005 thus registering over 78% growth since 2000. The Pakistan Bureau of Statistics provisionally valued this sector at Rs.1,358,309 million in 2005 thus registering over 96% growth since 2000. The wholesale and retail trade is the largest sub-sector of the services. Its share in the overall services sector is estimated at 31.5 percent. The wholesale and retail trade sector is based on the margins taken by traders on the transaction of commodities traded. In 2012–13, this sector grew at 2.5 percent as compared to 1.7 percent in the previous year. For years, the matter of balancing Pakistan's supply against the demand for electricity has remained a largely unresolved matter. Pakistan faces a significant challenge in revamping its network responsible for the supply of electricity. While the government claims credit for overseeing a turnaround in the economy through a comprehensive recovery, it has just failed to oversee a similar improvement in the quality of the network for electricity supply. Most cities in Pakistan receive substantial sunlight throughout the year, which would suggest good conditions for investment in solar energy. If the rich people in Pakistan are shifted to solar energy that they should be forced to purchase solar panels, the shortfall can be controlled. this will make the economy boost again as before 2007. According to an econometric analysis published in Quality & Quantity by Mete Feridun of University of Greenwich and his colleague Muhammad Shahbaz, economic growth in Pakistan leads to electricity consumption but not vice versa. Foreign direct investment (FDI) in Pakistan soared by 180.6 percent year-on-year to US$2.22 billion and portfolio investment by 276 percent to $407.4 million during the first nine months of fiscal year 2006, the State Bank of Pakistan (SBP) reported on 24 April. During July–March 2005–06, FDI year-on-year increased to $2.224 billion from only $792.6 million and portfolio investment to $407.4 million, whereas it was $108.1 million in the corresponding period last year, according to the latest statistics released by the State Bank. Pakistan has achieved FDI of almost $8.4 billion in the financial year 06/07, surpassing the government target of $4 billion. Foreign investment had significantly declined by 2010, dropping by 54.6% due to Pakistan's political instability and weak law and order, according to the Bank of Pakistan. Business regulations have been overhauled along liberal lines, especially since 1999. Most barriers to the flow of capital and international direct investment have been removed. Foreign investors do not face any restrictions on the inflow of capital, and investment of up to 100% of equity participation is allowed in most sectors. Unlimited remittance of profits, dividends, service fees or capital is now the rule. However, doing business has been becoming increasingly difficult over the past decade due to political instability, rising domestic insurgency and insecurity and vehement corruption. This can be confirmed by the World Bank's Ease of Doing Business Index report degrading its ratings for Pakistan each year since September 2009 when it ranked Pakistan (at 85th) well ahead of neighbours like China (at 89th) and India (at 133rd). Pakistan is attracting private equity and was the ranked as number 20 in the world based on the amount of private equity entering the nation. Pakistan has been able to attract a portion of the global private equity investments because of economic reforms initiated in 2003 that have provided foreign investors with greater assurances for the stability of the nation and their ability to repatriate invested funds in the future. Tariffs have been reduced to an average rate of 16%, with a maximum of 25% (except for the car industry). The privatization process, which started in the early 1990s, has gained momentum, with most of the banking system privately owned, and the oil sector targeted to be the next big privatization operation. The recent improvements in the economy and the business environment have been recognised by international rating agencies such as Moody's and Standard and Poor's (country risk upgrade at the end of 2003). 47.1% increase in Net FDI in 2014–2015 (July–October) as compared to 2013–14 (July–October). With the rapid growth in Pakistan's economy, foreign investors are taking a keen interest in the corporate sector of Pakistan. In recent years, majority stakes in many corporations have been acquired by multinational groups. In 2016, Arçelik acquired Dawlance for $243 million. In 2016, FrieslandCampina acquired 51% stake in Engro Foods for $446.81 million. In 2016, The Abraaj Group sold its 66.4% stake in K-Electric to Shanghai Electric for $1.77 billion. The foreign exchange receipts from these sales are also helping cover the current account deficit. Pakistan's external sector continued facing stress during 2016–17. But still Pakistan's merchandise trade exports grew by 0.1 percent during the fiscal year 2016–17. The imports continued to grow at a much faster rate and grew by a large percentage of 18.0 during the FY 2017 as compared to the previous year. World imports had been stagnant between 2011 and 2014 but registered significant drop since early 2015 because of weak commodity and product prices and weak global economic activity. Economic growth was lacklustre in the OECD countries which contributed to the slowdown in China. Furthermore, the ratio between real growth in world imports and world real GDP growth substantially declined. This decline in the import content of economic activity triggered a shift in consumption worldwide from traded towards non-traded goods, import substitution, a slowdown in the pace of trade liberalization, and gave currency to protectionist measures. A bulk of Pakistan's exports are directed to the OECD region and China. Historical data suggest strong correlation between Pakistani exports to imports in OECD and China. As per FY 2016 data, more than half of country's exports are shipped to these two destinations i.e. OECD and China. A decline in Pakistan overall exports,thus occurred in this backdrop. Pakistan's imports are showing rising trend at a relatively faster rate (18.0 percent) due to the increased economic activity as part of China Pakistan Economic Corridor (CPEC), particularly in the Energy sector. The construction projects under CPEC require heavy machinery that has to be imported. It is also observed that the economy is currently being led both by investments as well as consumption, resulting in relatively higher levels of imports. During FY 2017, the increase in imports of capital equipment and fuel significantly put pressure on the external account. A reversal in global oil prices led to increase in POL imports, accompanied by falling exports, as a result the merchandised trade deficit grew by 39.4 percent to US$26.885 billion in FY 2017. While remittances and Coalition Support Fund inflows both declined slightly over the same period last year, however, the impact was offset by an improvement in the income account, mainly due to lower profit repatriations by oil and gas firms. Current account – The Current account deficit increased to US$12.4 billion in FY 2017, against US$3.2 billion in FY 2016. However, the impact of high current deficit on foreign exchange reserves was not severe, as financial inflows were available to the country to partially offset the gap; these inflows helped ensure stability in the exchange rate. Net FDI grew by 12.4 percent and reached US$1.6 billion in the nine-months period, whereas net FPI saw an inflow of US$631 million, against an outflow of US$393 million last year. Encouragingly for the country, the period saw the completion of multiple merger and acquisition deals between local and foreign companies. Moreover, multiple foreign automakers announced their intention to enter the Pakistani market, and some also entered into joint ventures with local conglomerates.This indicates that Pakistan is clearly on foreign investors' radar, and provides a positive outlook for FDI inflows going forward. government's successful issuance of a US$1.0 billion Sukuk in the international capital market, at an extremely low rate of 5.5 percent. Besides, Pakistan continued to enjoy support from international financial institutions (IFIs) like the World Bank and Asian Development Bank, and from bilateral partners like China, in the post-EFF period: net official loan inflows of US$1.1 billion were recorded during the period. As a result, the country's FX reserve amounted to US$20.8 billion by 4 May 2017 sufficient to finance around four month of import payments. Pakistan receives economic aid from several sources as loans and grants. The International Monetary Fund (IMF), World Bank (WB), Asian Development Bank (ADB), etc. provide long-term loans to Pakistan. Pakistan also receives bilateral aid from developed and oil-rich countries. The Asian Development Bank will provide close to $6 billion development assistance to Pakistan during 2006–9. The World Bank unveiled a lending programme of up to $6.5 billion for Pakistan under a new four-year, 2006–2009, aid strategy showing a significant increase in funding aimed largely at beefing up the country's infrastructure. Japan will provide $500 million annual economic aid to Pakistan. In November 2008, the International Monetary Fund (IMF) has approved a loan of 7.6 billion to Pakistan, to help stabilise and rebuild the country's economy. Between the 2008 and 2010 fiscal years, the IMF extended loans to Pakistan totalling 5.2 billion dollars. The government decided in 2011 to cut off ties with the IMF. However the government newly elected in 2013 re-established these ties, and a negotiated a three-year $6.6 billion package which would allow it to deal with on-going debt issues. The China–Pakistan Economic Corridor is being developed with a contribution of mainly concessionary loans from China under the Belt and Road Initiative. Much like BRI, value of CPEC investments transcends any fiat currency and is only estimated vaguely as it spans over decades of past and future industrial development and global economic influence. The remittances of Pakistanis living abroad has played important role in Pakistan's economy and foreign exchange reserves. The Pakistanis settled in Western Europe and North America are important sources of remittances to Pakistan. Since 1973 the Pakistani workers in the oil rich Arab states have been sources of billions of dollars of remittances. The 9 million-strong Pakistani diaspora, contributed US$19.3 billion to the economy in FY2017. The major source countries of remittances to Pakistan include UAE, US, Saudi Arabia, GCC countries (including Bahrain, Kuwait, Qatar and Oman), Australia, Canada, Japan, Norway, Switzerland, UK and EU countries. Remittances sent home by overseas Pakistani workers have seen a negative growth of 3.0% in the fiscal year 2017 compare to previous year when remittances reached at all-time high of 19.9 billion US dollars. This decline in remittances is mainly due to the adverse economic conditions of Arabian and gulf countries after the fall in oil prices in 2016. However, the recent development activities in the Qatar FIFA World Cup, Dubai Expo, Saudi Arabia's implementation of its Vision 2030 and particularly the recent visit of the P.M to Kuwait should all be helpful in opening new avenues for employment in these countries . Going forward one can expect improvements in the coming years. Pakistan has a low tax/GDP ratio, which it is trying to improve. The current tax-to-GDP ratio is 12.6% (2016), which is a little less than its neighbour India 16.6% (2016)  while a slight more than Sri Lanka 12.3% (2015). The pace of revenue mobilization has witnessed an upward trajectory since FY 2013. Overall revenues increased to 15.3 percent of GDP in FY 2016, compared to 13.3 percent of GDP recorded in FY 2013. Among those, tax revenues increased from 9.8 percent of GDP in FY 2013 to 12.6 percent of GDP in FY 2016. Government expenditures were 4,383.6 billion rupees (FY 2016–2017 July to March). Total expenditures witnessed a downward trajectory without compromising the expenditures on development projects and social assistance. Particularly, expenditures under Public Sector Development Program (PSDP) have been raised adequately in order to meet the investment requirements. During FY 2017 the size of federal PSDP has increased to Rs 800 billion from Rs 348.3 billion during FY 2013, showing a cumulative increase of over 129 percent. During first nine months of current fiscal year, the fiscal deficit stood at 3.9 percent of GDP against 3.5 percent of GDP recorded in the same period of FY 2016 on account of higher development expenditures along with various tax incentives to promote investment and economic activity in the country and security related expenditures. On the basis of previous estimates of GDP at Rs 33,509 billion, the fiscal deficit was recorded at 3.7 percent during first nine months of current fiscal year against 3.4 percent registered in the comparable period of FY 2016. Total revenues grew at 6.2 percent to Rs 3,145.5 billion during July–March, FY 2017 against Rs 2,961.9 in the comparable period of FY 2016. Pakistan is expected to sell a dual-tranche sovereign bond worth $750 million on 23 March 2006 that analysts said should ensure a favourable reception in the bond market. The 10-year tranche would be $500 million and the 30-year portion $250 million. Pricing is expected during New York trading hours on 23 March 2006. The sources said that the 10-year tranche was expected to be priced at around 100125%, while the longer-dated tranche was expected to be sold at around 70.875%, the top end of the indicative yield range of 3.75 to 10.875%. The bonds, consisting of 10-year and 30-year tranches, had generated $1.5 billion in orders and a total size of as much as $1.25 billion had been anticipated for what is Pakistan's third foray into the international debt market since 2004. The Government of Pakistan has been raising money from the international debt market from time to time. ^ a b c "BANKS' FLOATING AVERAGE EXCHANGE RATES". SBP. Retrieved 2019-03-28. ^ "World Economic Outlook Database, April 2018". www.imf.org. ^ "Gross Domestic Product of Pakistan (at constant basic prices of 2005-06)" (PDF). SBP. This article incorporates text from this source, which is in the public domain. ^ "Monthly Review on Price Indices" (PDF). Pakistan Bureau of Statistics. March 2019. Retrieved 2019-03-13. ^ "Pakistan". World Poverty Clock. Retrieved 12 April 2019. ^ a b "Labor Force Survey 2014–15" (PDF). Pakistan Bureau of Statistics. Retrieved 27 September 2017. ^ "Pakistan's unemployment rate dips slightly in last year of PML-N's tenure". The Express Tribune. Retrieved 2019-04-14. ^ "Trade of Goods" (PDF). SBP. Retrieved 6 November 2018. ^ "External Sector" (PDF). SBP. Retrieved 6 November 2018. ^ "SBP EXPORT RECEIPTS BY COUNTRY" (PDF). SBP. 2017–2018. Retrieved 2018-08-08. ^ "IMPORTS PAYMENTS BY COMMODITY" (PDF). SBP. Retrieved 6 November 2018. ^ "Pakistan's Debt and Liabilities-Summary" (PDF). SBP. Retrieved 28 February 2019. ^ a b "Consolidated Fiscal Operations". Finance Division. 2018-08-24. Retrieved 2018-08-25. ^ Mangi, Faseeh (5 May 2015). "S&P Follows Moody's to Raise Pakistan Outlook as Growth Quickens". bloomberg.com. ^ "Moody's downgrades Pakistan's rating outlook to negative". dawn.com. ^ "Fitch Downgrades Pakistan to 'B-'; Outlook Stable". The Fitch. ^ "CENSUS - 2017 PAKISTAN" (PDF). Pakistan Bureau of Statistics. August 2017. Archived from the original (PDF) on 29 August 2017. ^ a b c d "Economic Indicators 2018" (PDF). Pakistan Finance Division. Retrieved 28 April 2018. ^ "The Secret Strength of Pakistan's Economy". Bloomberg. ^ Faryal Leghari (3 January 2007). "GCC investments in Pakistan and future trends". Gulf Research Center. Archived from the original on 11 January 2012. Retrieved 12 February 2008. ^ "Quid Pro Quo 45 – Tales of Success" (PDF). Muslim Commercial Bank of Pakistan. 2007. p. 2. Archived from the original (PDF) on 16 February 2008. Retrieved 12 February 2008. ^ Malcolm Borthwick (1 June 2006). "Pakistan steels itself for sell-offs". BBC News. Retrieved 12 February 2008. ^ Tavia Grant (8 December 2011). "On 10th birthday, BRICs poised for more growth". The Globe and Mail. Toronto. Retrieved 4 January 2012. ^ Henneberry, S. (2000). "An analysis of industrial–agricultural interactions: A case study in Pakistan". Agricultural Economics. 22: 17–27. doi:10.1016/S0169-5150(99)00041-9. ^ a b c "World Bank Document" (PDF). 2008. p. 14. Retrieved 2 January 2010. ^ "Pakistan Country Report" (PDF). RAD-AID. 2010. pp. 3, 7. Archived from the original (PDF) on 12 January 2012. Retrieved 26 December 2011. ^ Design, Websynergi. "Pakistan Trade, Pakistan Industries, India Pakistan Trade Unit". www.iptu.co.uk. ^ "Pakistan's Top 10 Exports". Daniel Workman. World's Top Exports. ^ "Privatisation process: Govt to sell assets in sole offering". The Express Tribune. ^ "Foreign currency reserves cross $10b mark". The Express Tribune. ^ "Outlook stable: S&P affirms Pakistan's ratings at 'B-/B'". The Express Tribune. ^ "These are the '10 emerging markets of the future'". World Economic Forum. Retrieved 2016-07-31. ^ "Pakistan economy out of crisis: IMF". ^ AFP (10 November 2016). "World Bank projects 5.4 per cent growth rate for Pakistan in 2018". ^ "Pakistan shows highest economic growth in eight years: The situation of current account imbalance was successfully handled through the investment from gulf countries and increase in foreign remittances: Fiscal deficit target set at 3.8 percent – Pakistan Revenue". www.pkrevenue.com. ^ "Pakistan's performance improves, budget deficit at 1.7% – The Express Tribune". 16 February 2016. ^ "Budget deficit widens to record Rs2.26tr in FY18". ^ "Pakistan's credit profile reflects domestic and external challenges". 13 Dec 2018. ^ Zahid, Wali (17 July 2017). "Pak GDP in terms of purchasing power parity crosses $1 trillion". The News. Retrieved 27 July 2017. ^ "Bush administration puts pressure on Pakistan (Sept 13 2001)". CNN. 2001-09-13. Archived from the original on 21 October 2007. Retrieved 2007-12-04. ^ "Doing Business in 2006: South Asian Countries Pick up Reform Pace, says World Bank Group; India Ranks 116th, 25 Places After China; Pakistan Among Top 10 Reformers". 12 September 2005. Retrieved 2006-06-03. ^ "Doing Business 2019 - 16th edition" (PDF). doingbusiness.org. Retrieved 2018-10-31. ^ "New auto players to invest over $800m in Pakistan". tribune.com.pk. Retrieved 3 January 2019. ^ "ExxonMobil set for comeback in Pakistan after nearly three decades: Report". profit.pakistantoday.com.pk. Retrieved 3 January 2019. ^ "Pakistan's Debt and Liabilities-Summary" (PDF). SBP. Retrieved 1 January 2019. ^ a b "Gross Domestic Product of Pakistan (at current basic prices)" (PDF). Pakistan Bureau of Statistics. Retrieved 29 April 2018. ^ "weighted average exchange rates". SBP. Archived from the original on 2010-11-26. Retrieved 22 May 2018. ^ "Gross Domestic Product of Pakistan (at constant basic prices of 2005-06)" (PDF). Pakistan Bureau of Statistics. Retrieved 22 May 2018. ^ a b c "MACRO ECONOMIC INDICATORS" (PDF). Pakistan Bureau of Statistics. Retrieved 29 April 2018. ^ a b c d e f "Manufacturing" (PDF). Pakistan Finance Division. Retrieved 2018-04-28. ^ a b c d e f "Agriculture" (PDF). SBP. Retrieved 2018-10-19. ^ a b c d "Budgetry Operations, 2017-18". Retrieved 25 August 2018. ^ a b "Consolidated Fiscal Operations" (PDF). SBP. Retrieved 18 January 2019. ^ "FBR Tax Collection" (PDF). SBP. Retrieved 11 September 2018. ^ "7.1 Pakistan's Balance of Payments" (PDF). SBP. Retrieved 29 September 2018. ^ a b "ExternalSector" (PDF). Retrieved 9 November 2018. ^ a b c d e f "Pakistan's Debt and Liabilities-Summary". State Bank of Pakistan. Retrieved 14 January 2018. ^ a b c d e f "Pakistan's Debt and Liabilities-Summary" (PDF). State Bank of Pakistan. Retrieved 16 August 2018. ^ a b c "Pakistan's External Debt and Liabilities - Outstanding (Archive)". State Bank of Pakistan. Retrieved 14 January 2018. ^ a b c "Pakistan's External Debt and Liabilities - Outstanding R" (PDF). SBP. Retrieved 16 August 2018. ^ "Pakistan's External Debt Servicing -Principal (Archive)". SBP. Retrieved 16 August 2018. ^ "Gold and Foreign Exchange Reserves" (PDF). SBP. ^ "LIQUID FOREIGN EXCHANGE RESERVES" (PDF). SBP. Retrieved 17 August 2018. ^ "FOREIGN PRIVATE INVESTMENT IN PAKISTAN-BY COUNTRY". State Bank of Pakistan. Retrieved 21 January 2019. ^ "Summary of Foreign Investment in Pakistan" (PDF). www.sbp.org.pk. Retrieved 19 April 2019. ^ "Consolidated Fiscal Operations (Federal & Provincial)" (PDF). Finance Division. Retrieved 24 May 2018. ^ "Historical Exchange Rates". SBP. Retrieved 28 March 2019. ^ a b c d e "Exports Receipts & Imports Payments and Balance of Trade". State Bank of Pakistan. Retrieved 28 March 2019. ^ a b c "Balance of Trade" (PDF). SBP. Retrieved 28 March 2019. ^ "Workers' Remittances" (PDF). SBP. Retrieved 2019-04-19. ^ "The Benefits of the English Language for Individuals and Societies: Quantitative Indicators from Cameroon, Nigeria, Rwanda, Bangladesh and Pakistan" (PDF). Retrieved 2012-09-02. ^ Shirajiv, Sirimane. "'Pakistan-Sri Lanka trade zooming to US$ one billion mark'". Archived from the original on 3 July 2013. Retrieved 23 May 2007. ^ "Data – Finance". Web.worldbank.org. Archived from the original on 5 April 2010. Retrieved 29 July 2010. ^ "Weekly review: KSE-100 crosses 30,000 points to hit all-time high". The Express Tribune. ^ "Pakistan Stock Exchange formally launched Index". Dawn News. Retrieved 2017-09-12. ^ "Market dips as MSCI reclassifies PSX to Emerging Markets Index". Dawn News. Retrieved 2017-09-12. ^ "KSE-100 ends shy of 52,400, gains over 600 points". THE EXPRESS TRIBUNE. Retrieved 2017-09-12. ^ a b "Middle class Pakistan". The Express Tribune. 21 April 2017. Retrieved 30 September 2018. ^ "Pakistan's middle class continues to grow at rapid pace". The Express Tribune. 2017-05-02. Retrieved 2018-09-30. ^ "Need for a new paradigm - DAWN.COM". Archives.dawn.com. 2010-04-27. Retrieved 2014-01-11. ^ "Pakistan – Data". data.worldbank.org. ^ a b "HRM significance and SME sector -Business Recorder – Articles and Letters; 11 April 2011". Business Recorder. 2011-04-11. ^ "Government Jobs in Pakistan". ^ "Extremism Mars Daughter of Alps | Pakistan Alpine Institute". Pakistanalpine.com. Archived from the original on 2014-01-02. Retrieved 2014-01-11. ^ "Revenue shortfall: FBR misses tax collection target by over Rs250b". THE EXPRESS TRIBUNE. ^ "Forex Currency Rates Pakistan – Forex Open Market Rates – Prize Bond Draw Result – Rates and schedule – Finance News & Updates". Forexpk.com. 2014-01-06. Retrieved 2014-01-11. ^ "World Agricultural Production" (PDF). Retrieved 2017-10-20. ^ "Pakistan cuts pesticide use dramatically". www.fao.org. ^ "Water shortages in Pakistan: An impending economic crisis – The Independent.in". ^ "Area, Production and Yield of Important Crops" (PDF). SBP. Retrieved 5 May 2018. ^ "World's Leading Surgical Instruments Producers - Trade Forum". www.tradeford.com. ^ Khan, Mubarak Zeb (22 August 2016). "Pakistan's shadow surgical instruments' sector". ^ uploader. "Associated Press Of Pakistan ( Pakistan's Premier NEWS Agency ) – Manufacturing sector grows by 5.2 percent". app.com.pk. Archived from the original on 8 August 2014. ^ "The growth of the "billion dollar club" in Pakistan". The Express Tribune. ^ "Financial Data – K-Electric". ke.com.pk. ^ More Desk. 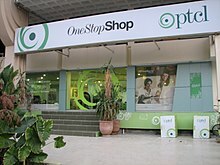 "PTCL is the largest revenue generator in listed telecom market". moremag.pk. Archived from the original on 17 July 2014. ^ "All Pakistan Cement Manufacturers Association Export Data". Apcma.com. Retrieved 15 October 2013. ^ Bhutta, Zafar (21 May 2013). "Can't get enough: Soaring profits not enough for cement industry". Tribune.com.pk. Retrieved 15 October 2013. ^ "Upward move: Pakistan's ICT sector to cross $10b mark, says [email protected]". The Express Tribune. ^ "Geography of Offshoring is Shifting | News & media". Atkearney.com. Archived from the original on 30 March 2010. Retrieved 29 July 2010. ^ "Tackling the energy crisis". Nation.com.pk. Archived from the original on 3 December 2013. Retrieved 11 January 2014. ^ "Pakistan Recognised by GSMA for Exceptional Work in Developing Mobile Communications". Archived from the original on 4 September 2006. Retrieved 25 August 2006. ^ "Business Recorder [Pakistan's First Financial Daily]". Brecorder.com. 2004-01-01. Retrieved 2010-07-29. ^ "Leading News Resource of Pakistan". Daily Times. Archived from the original on 11 June 2010. Retrieved 2010-07-29. ^ "Guess Which County Texts the Heaviest". PCWorld. 1 February 2009. ^ "Leading News Resource of Pakistan". Daily Times. 2008-12-03. Archived from the original on 11 June 2010. Retrieved 2010-07-29. ^ "Internet Users in Pakistan hit 17.5 Million Mark – ProPakistani". Propakistani.pk. Retrieved 2010-07-29. ^ "Annual Report 2018" (PDF). PTA. 2018-07-01. Retrieved 2019-02-24. ^ a b "Annual Cellular Subscribers". PTA. 2017-12-01. Retrieved 2019-02-24. ^ "Ports and shipping of Pakistan". Pakakhbar.com. Archived from the original on 26 March 2010. Retrieved 29 July 2010. ^ "Pakistan Railways to undertake Rs60bn rehabilitation plan -DAWN – National; 4 July 2005". DAWN. 2005-07-04. Retrieved 2010-07-29. ^ "Pakistan-Turkey rail trial starts". BBC News. 2009-08-14. Retrieved 2010-05-01. ^ "Pakistan, Turkey and Iran plan rail container service Rail transport, Pakistan Intermodal, Rail transport, Turkey rail transport, Pakistan Railways, Akhtar, Saaed". Worldcargonews.com. 2009-04-08. Retrieved 2010-07-29. ^ a b "Gross National Product of Pakistan (at current factor cost)" (PDF). Archived from the original (PDF) on 19 June 2007. Retrieved 19 June 2007. ^ "CIA Worldbook". CIA. 2012-05-12. Retrieved 2012-05-12. ^ "FDI into Pakistan jumps 180.6% in 1st 9 months of FY06". www.tmcnet.com. ^ "Significant Decline In Foreign Investment To Pakistan". Malick, Sajid Ibrahim. 15 February 2010. Archived from the original on 11 September 2010. Retrieved 2010-11-01. ^ "Rankings – Doing Business – The World Bank Group". Doing Business. Retrieved 2010-07-29. ^ "Private Equity Watch". Archived from the original on 2 March 2008. Retrieved 29 December 2007. ^ "Welcome to the Board of Investment". boi.gov.pk. ^ Nafees, Shahab (16 November 2016). "Turkish company acquires Dawlance for $243m". Dawn newspaper. Retrieved 3 January 2017. ^ Siddiqui, Salman (20 December 2016). "Dutch company acquires Engro Foods for $446.81m". Express Tribune. Retrieved 3 January 2017. ^ Crofts, Dale (31 October 2016). "Shanghai Electric to Pay $1.8 Billion for Stake in K-Electric". Bloomberg L.P. Retrieved 3 January 2017. ^ Mohiuddin Aazim. "Rising foreign stakes in local companies". dawn.com. ^ "EXPORT RECEIPTS BY COMMODITY" (PDF). SBP. Retrieved 23 July 2018. ^ "IMPORTS PAYMENTS BY COMMODITY" (PDF). SBP. Retrieved 23 July 2018. ^ "World Bank plans 6.5 bln usd lending to Pakistan". Forbes.com. 2 January 2006. Archived from the original on 4 September 2006. Retrieved 6 March 2006. ^ "Japan to resume USD 500 mn annual funding for Pak". Chennai, India: The Hindu News Update Service. 29 May 2006. Archived from the original on 30 September 2007. Retrieved 2006-06-03. ^ "Aid to Pakistan by the Numbers". Center for Global Development. September 2013. Retrieved 4 January 2019. ^ "Pakistan | State Bank of Pakistan" (PDF). sbp.org. Retrieved 2017-09-07. ^ a b "PAKISTAN ECONOMIC SURVEY 2016-17" (PDF). Ministry Of Finance. This article incorporates text from this source, which is in the public domain. ^ Mudgill, Amit (22 July 2017). "Tax ratio similar to Rwanda, but wants to beat China: That's India" – via The Economic Times. ^ "Tax revenue (% of GDP) - Data". data.worldbank.org. Khan Ashan (2014). Economics of Pakistan, 9th edition. Pakistan. Gabol, Nasir (1990). Privatisation in Pakistan,. Paris, France: Organisation for Economic Cooperation and Development. ISBN 92-64-15310-1. Ahmad, Viqar and Rashid Amjad. 1986. The Management of Pakistan's Economy, 1947–82. Karachi: Oxford University Press. Papanek, G.F. 1967. Pakistan's Development: Social Goals and Private Incentives. Cambridge, Massachusetts: Harvard University Press. Hasan, Parvez. 1998. Pakistan's Economy at the Crossroads: Past Policies and Present Imperatives. Karachi: Oxford University Press. Khan, Shahrukh Rafi. 1999. Fifty Years of Pakistan's Economy: Traditional Topics and Contemporary Concerns. Karachi: Oxford University Press. Kibria, Ghulam. 1999. Shattered Dream: Understanding Pakistan's Development. Karachi: Oxford University Press. "Pakistan". The World Factbook. Central Intelligence Agency.